As I mentioned in my last update, it's been tough to commit to my Carter's Quest series ever since I took over the role of Reviews Director, as directing reviews takes up nearly all of my time. But every so often, a franchise grabs hold of me for better or for worse, and I feel the inherent need to talk about it as a whole. One of my recent projects has been the Arkham series, and you may have caught my efforts to 100% Arkham Knight. Now that I'm finally victorious, I feel like I have a grasp on where Knight falls on the Arkham spectrum. 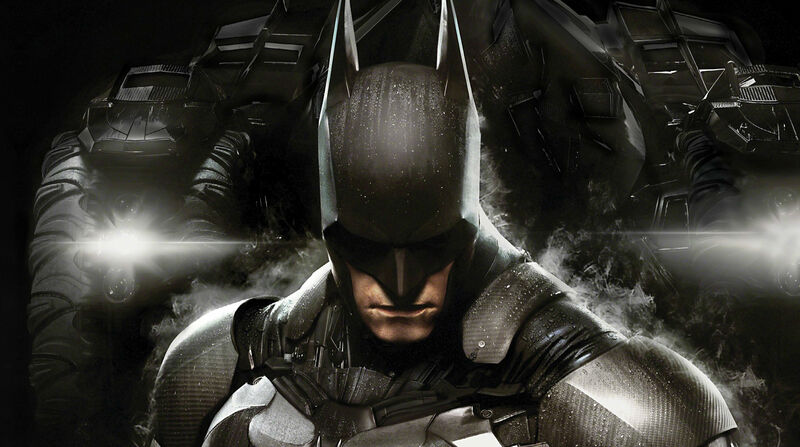 It's not the game series that means so much to me, but Batman as a whole. It was one of the first films I saw with my family as a young adult (the original Keaton flick), after watching re-runs of the old Adam West show on TV. 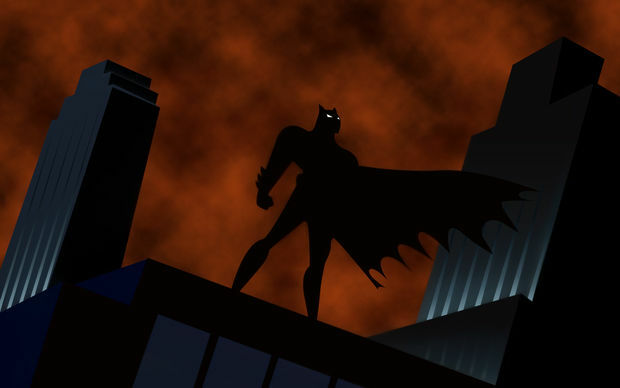 Seeing Batman Begins was one of the first dates I had with my wife, and we tend to watch every Batman film together since, including the animated ones. Although Bruce Wayne himself has some great arcs (The Dark Knight Returns), it's the villains I truly love, and the Batman franchise has my favorite collective of rogues in history. While it's easy to point out the nuances of characters like Mr. Freeze, who transcend the stereotypical "villain" role, it's important to note that most of the characters, even a lot of the menial ones, are just so damn entertaining to watch, particularly when it comes to the The Animated Series. There's a lot of villains in other shows where you'd probably groan at the sight of them -- my wife hates Steelbeak episodes in Darkwing Duck for example -- but nearly everyone in TAS (and by proxy, Batman lore in general) has their own, justified sense of purpose. As a side note, for the purposes of this quest, in addition to the four "core "games I added in Blackgate since the events are directly tied to Origins, as well as Arkham City Lockdown as it is technically a prequel to the second game. I also played through all available DLC for each entry. Although Asylum isn't my favorite game in the series (more on that in a second), if you made the argument that it was the best entry, I wouldn't put up much of a fight. It does practically everything it sets out to do, and doesn't go overboard in any respect, even with the Riddler trophy challenges scattered about the asylum. This is a streamlined, personal tale of Batman, with a collective of some of his most popular villains in tow, all of who are presented in a unique way that establishes a true "Arkham" lore. With both stealth and combat gameplay working in tandem it strikes the perfect balance, appealing to just about every possible action genre fan. The predator sections in particular are some of my favorite stealth sequences in all of gaming, as they truly are presented as a puzzle of sorts, allowing any number of combinations of gadgets and tactics as the solution. My only big holdups are a few bits in the middle which is where the story drags a little, and the conclusion, which features a very goofy and completely uncharacteristic Joker fight. Still, the reunion between Kevin Conroy and Mark Hamill in video game form was a sight to behold, and they still have chemistry in spades. From the very start of the game when you're escorting Joker into the asylum, you can feel that connection. Having said all that, it is a little too cramped for my personal tastes, and even the outdoor areas, as small as they are, are heavily segmented. I get that they were going for the claustrophobic effect, but I would have heavily preferred a full open environment I could freely float around in -- good thing Rocksteady made another one. The DLC for the Game of the Year Edition is basically throwaway challenge maps, which is actually a nice little unintended bonus of sorts -- the entire core game feels "complete" without having to resort to any other premium add-ons. 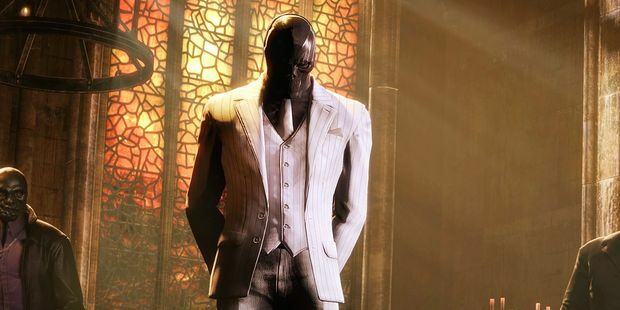 Arkham City took everything I liked about Asylum, and doubled it. While some people out there consider that a negative trait, I really liked the ability to scour an entire town and find all of the hidden little Easter eggs within. The story is a bit less focused this time around, but it also lets a whole new cast shine, and personally, I enjoyed the little callouts to characters like Hush and Azrael, and the bigger plotlines involving some of my favorites, like Mr. Freeze. The Catwoman mechanic was also a big risk, but ended up paying off, as it allowed City to have it's own distinct personality. It gets a bit hokey at the end, but no more hokey than a lot of other Batman storylines -- and not in a way that completely ruins the thrill ride up until that point. I feel like nearly every Arkham game has issues with the ending, as the writing crew (in the case of the first two games, primarily Paul Dini) seem to have some sort of obligation to the property to wrap things up in a certain way. I also completed the "Harley Quinn's Revenge" DLC, which ended up being a complete waste of time. The entire conceit is "Harley is mad because Joker!" and it doesn't really go anywhere. Funnily enough the only cool part is being able to control Robin with new gadgets in tow, but he's only playable for roughly 30 minutes. The fact that this game is mobile-only will probably cue you in that Lockdown isn't anything special, and in this case, you'd be right. While it technically serves as a prequel to City, it doesn't do anything meaningful outside of "some people are locked up, and some people break out." It's just too much of the same "Batman can't keep people in jail" conceit, which was borderline already overdone with the first two games. As a mobile spinoff it wasn't really destined for an award-winning future, but developer NetherRealm Studios and publisher Warner Bros. could have taken it in a more interesting direction with a more personal and concise tale rather than try to cram everyone possible into it. In terms of gameplay, it's basically Infinity Blade with Batman, which isn't necessarily a bad thing, but it lacks a real identity. It's also still inexplicably $5.99 for some reason, and was only released on Android two years after City's debut. Origins is content with blowing all of its tricks in the first hour or so of the game. Marketed as an epic struggle with Black Mask with flashes of cool confrontations with villains such as Deathstroke, the story quickly devolves into yet another Joker-fest, but without any real new revelations or concepts. We don't really get to see any meaningful "origins" per se outside of the rivalry between Bats and Joker, but even that doesn't feel as organic as nearly every other tale that's been told for decades on end. I'm especially salty after just watching Under the Red Hood, Mask of the Phantasm, and Batman Beyond: Return of the Joker again this past week, all of which do a much better Joker arc. The main problem with Origins is that the city feels barren and lifeless. WB also had a huge issue with game-breaking glitches, and refused to fix them in favor of creating and marketing premium DLC. 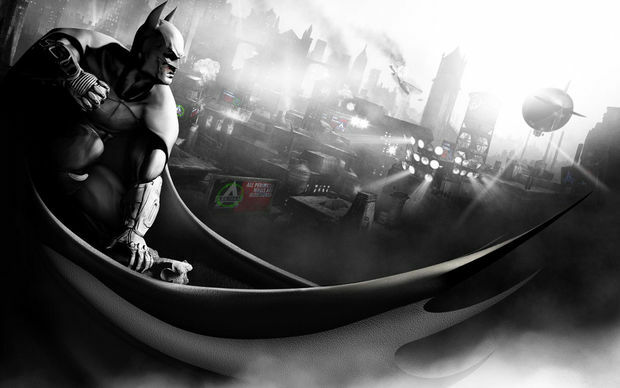 Despite all of those issues and WB Montreal's best efforts, it still feels like a Batman game, and still plays better than a lot of other open world titles on the market. All they had to do is mostly copy and paste Rocksteady's groundwork, which for the most part worked out for them. Predator sections are thrilling and tactical, and the freeflow combat is satisfying. In terms of DLC, the Initiation pack is one of the poorest showings (if not the poorest) in the entire Arkham series, but thankfully Cold, Cold Heart manages to justify its existence. I have to give developer Armature Studio credit -- on the surface, Blackgate maintains the feel of the proper Arkham series, but with a 2.5D flair. Sadly, it falls flat in nearly every regard. I actually like the setup -- three wings of Blackgate Penitentiary have been taken over by the Penguin, Black Mask, and Joker, and it's up to Batman to maintain control yet again. In the end though, the core narrative is boring and straight-forward, even by portable spinoff standards. For starters, beyond a small twist at the end, nothing really happens. Additionally, the entire prison itself is dull outside of the Joker's modestly decorated section. Batman not being able to jump is also a big issue for me. There's no real sense of adventure in Blackgate -- you just run from side to side and mash R until you can grapple up somewhere. Touching the screen to initiate detective mode is clever, but you never really get to use it outside of scripted portions. 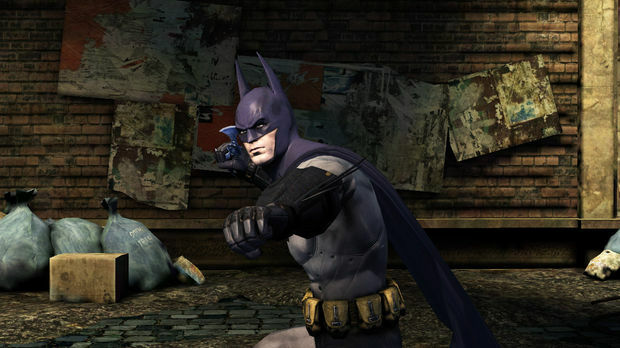 Hits also don't have any real impact in combat, and Batman's animations are stunted. 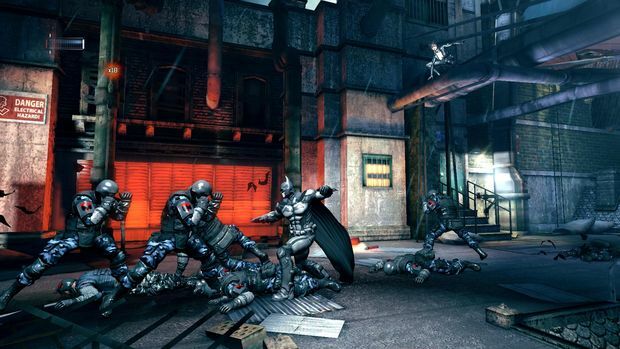 It's so uninspired, it makes Arkham City Lockdown look better by comparison. 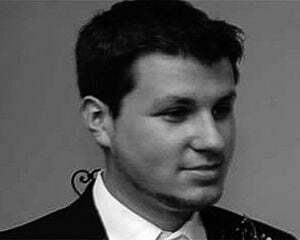 I am so torn on Arkham Knight. On one hand I actually really liked the campaign, as well as John Noble's turn as Scarecrow, but on the other, Rocksteady didn't put a lot of work into most of the sidequests, and there's just too much Batmobile. 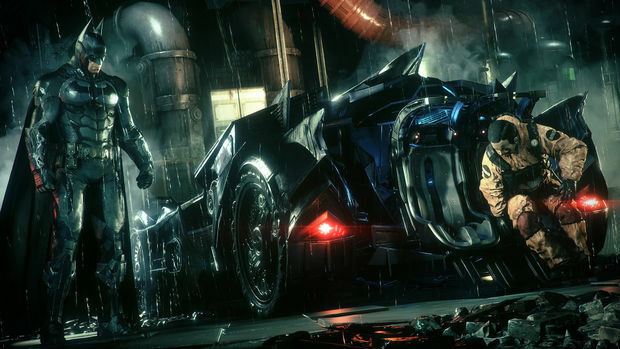 If there's any sort of "puzzle" in the game -- you can bet the Batmobile is the answer. Also, fighting the same army of drones 50 times over in the exact same manner isn't very imaginative or fun, and grappling around Gotham is still a thousand times more entertaining than driving a car around in it. Unlike a lot of people out there, I actually enjoyed the main story. Yes it's predictable, but it had a lot of great nods to the source material, and the main cast was pretty solid (though I didn't really dig Jonathan Banks as Gordon this time around). It's crazy how detailed the world is, and I can see why the project was delayed multiple times -- it really does feel like a "current-gen" game. By that same token, sections like the mine vehicle battle exist, and it boggles the mind how some of this got through even one approval process. When all was said and done and I had completed the game 100% though, I would say I enjoyed it overall. You can see what I think of the Harley Quinn, Red Hood, and Batgirl DLC packs as well with the preceding links. 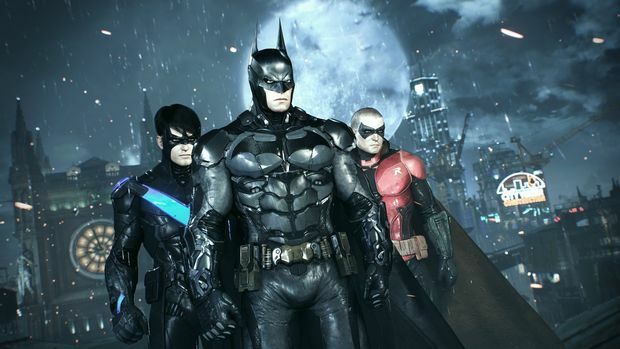 In short, I'm not impressed by the bite-sized "episodic" content that Rocksteady and WB Montreal are going for. It would be fine if they were short and had substance, but sadly, they have no real tales to tell. 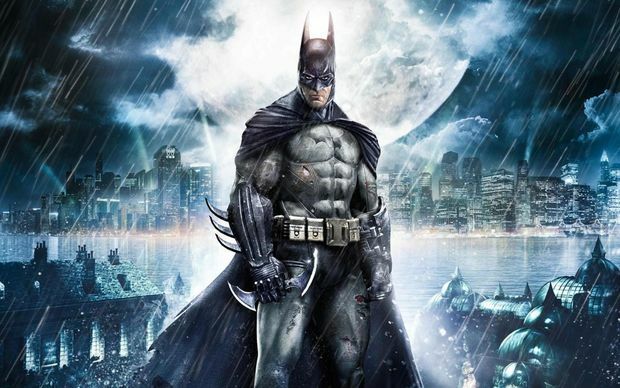 The Arkham series has its ups and downs, and Warner Bros. has tried to milk it for all its worth over the years, but for the most part, Rocksteady really did "get" how to develop a game that allowed you to "be the Bat." Even in their darkest moments, it's a blast to glide around and pick off unsuspecting thugs off the street, or get into an all-out brawl and take down 50 people at once. They created a template that will likely be used for years to come for similar open world games, and I'm really interested in seeing what they do next. Or, more importantly, I wonder if WB will greenlight similar projects for Superman, and other Justice League heroes that will be front and center next year when DC starts their big film push. As long as they're shown the proper amount of care, I'm willing to give them a shot. However they turn out and regardless of who is in control, Rocksteady has already made its mark on the genre and series.